With today's constant environmental threats and growing concerns with global warming, we strongly believe in protecting the environment at all costs. This is where our unique "Go Green" approach comes into full effect. 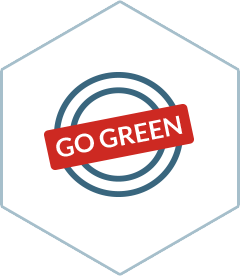 With the thought process of going green, the Nebero Systems software UTM is perfect for different organization that genuinely care about saving and protecting the environment. Our unique and unprecedented approach allows for a reduced amount of emissions, while also decreasing carbon credit report add-ons. In addition, the majority of the time, when you need to upgrade a UTM appliance from a small to big network, you need to discard the old device in order to install the new one. Quite possibly the best part about the Nebero go green effort is, this is not the case with us. When it comes to the Nebero soft UTM, there is no need for additional hardware, or even hardware at all for that matter. Through the Nebero UTM, your organization can be ported on a much friendlier environmental hardware infrastructure or virtual environment. This allows your organization to have much lower costs and emissions. By taking advantage of our unique opportunity to go green, your organization will be doing its part to save the environment. As environmental attention and concerns continue to grow, it's has become extremely important to utilize certain company's that are making a conscious effort to help improve the environment. Different than our competitors, we are able to provide a simplistic approach that helps protect both the environment and your organization. In fact, we are one of the first in our industry to offer such beneficial, environmental friendly UTM options. With so many different hardware appliances that are thrown away every day, it's time to stop filling the Earth with old electrical devices and gadgets. Helping us become one of the premiere company's in our industry, Nebero Systems has made a dramatic effort to go green and reduce the population's carbon footprint. By offering a wide range of different UTM options, Nebero Systems is proud to bring your organization one of the best green UTM appliance solutions ever created. Regardless of the specific industry that you operate in, whether it's an educational institution, as a healthcare provide or the automobile industry, we are here to work together with you and help save the environment. Not only can we help you save the environment, we also offer some of the best network security options in the business.